Here is a short description of our past events and best picks from them. 11.03.2010. Tero Kakko from Viiniagentit.com came to present us his selection of Spanish wines. We did also have South African Sauvigon Blanc and Italian reds as well as sweet sparkling dessert wine and Grappa. We started with some organically grown Cava and Rosé Cava from Pinot Noir, both different in styles but really good. Then continued with white wines: Verdejo, Albariño and Sauvignon Blanc. Again very different styles as you can see already in the colors. But good quality wines for different uses. Our main topic was Spanish red wines and we tasted five of them as well as two Italian red wines. It was difficult to choose which wine is best because all were high quality wines carefully selected and around the same price range. After hours of hard work and winetasting we finally reached our dessert sparkling wine. After full-flavored and full-bodied red wines this was a nice finish. You can find all our evaluations here. Well we did also have some high quality Grappa from Unica de Ponte in the end. But I have not included evaluation for that. In short it is very high quality and available in some restaurants. Not to forget we also tasted some high quality olive oil as well. 24.02.2010. Despite of meters of snow and freezing weather, Teemu Laaksonen from Arvid Nordquist decided to have wines for spring as our topic. So we were tasting sparkling wines and rosés, which was actually quite nice. I can picture myself on a terrace or having picnic on the beach with some sparkling rosé and strawberries. We also had some new wines from their selection: Steininger Riesling from Austria and red Coma Vella from Spain. These also received our highest points. 14.01.2010. Sirpa, Petra and Violetta from Viinitkotiin.com came to present us their selection of wines. 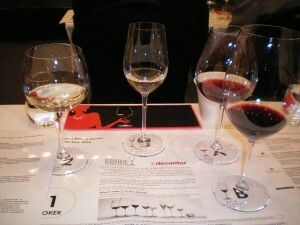 The tasting was divided in three parts. First we tasted wines from Portugal. Then compared two Chardonnay and two Shiraz wines, and finished with Semi Dec Champagne and some cake. Viinitkotiin.com is a new internet portal for quality wines, champagnes, and other alcoholic products that are not available in Alko. The company is based in Estonia and their webshop in Finland opened in December 2009. They offer secure payment methods and all taxes and custom duties are taken care of by seller. Our best evaluations of white wines received Anna Delaroche Chablis and of red wines Quanta Terra and Excelcior Paddock Shiraz. Also the combination of cake with demi sec champagne was very well liked. 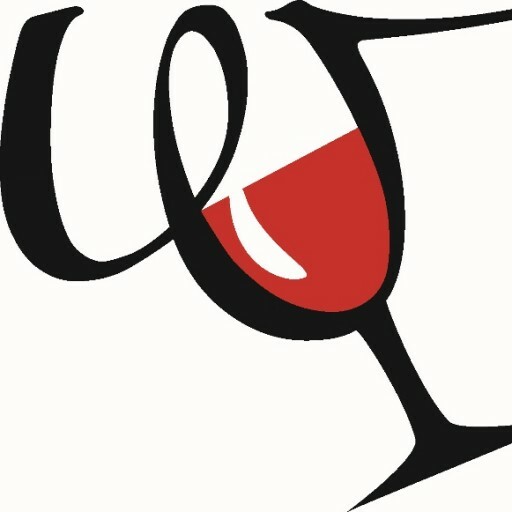 All Viinitkotiin.com wine evaluations can be found here. 10.11.2009. Wine Tasting Club had a private shopping night at Guess Outlet store. Guess offered us Italian sparkling wine and cheeses to make our shopping experience more pleasant, as if our 20% discount for all purchases was not enough. We will go there again next spring to be ready for summer. 28.10.2009. This night we forgot about wine for a while and concentreated on cognacs. Timo Koivunen and his Spanish colleague Xavier from Möet Hennessy presented us their range of Hennessy cognacs. Hennessy has been the world leader in cognacs for over 300 years now. The group also owns and imports whiskys to Finland so naturally we started the night with some Glenmorangie and Ardbeg whiskys. We learned how whisky and cognac are made and what are their differences. Well it turns out cognac is made out of wine so we are back in line with our wine tasting club. We started with Hennessy V.S (very special) and continued with V.S.O.P (very special old pale), X.O (extra old) and Paradis. As if this night was not perfect already, Timo insisted that we try also 200 years old Richard Hennessy. This tasting left me with very satisfied but also empty feeling. Like you have reached your lifetime goal and do not know what to do next. 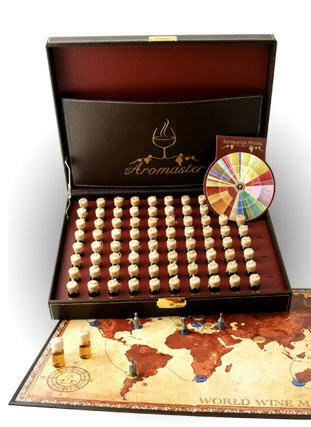 Now I have tasted world’s greatest cognacs so where to go next. Well I know very little about whiskys and cognacs so I went to buy Riedel’s Hennessy glasses and a book about whiskys to learn more about them. And I will of course continue to enjoy and learn more about wines, and look for the same feeling over and over again. 22-25.10.2009. We ordered group tickets to go to Wine, Food and Good living fair. At the same time there was also Book and Music fairs, but I did not have time to attend those. I concentrated more on wines and food. I attended three lectures there: Rhone wines, Cheese and Wine, and Chocolate and Wine. The rest of the time I circled around the area tasting some more wines, cheeses and chocolates. And of course I made some new contacts with whom we can organise wine tastings later. Longer description of my visit can be read in Finnsih from my blog. 07.10.2009. Laura Plet from Pernod Ricard Finland talked about combining food with wine and we tasted different wines from all over the world. We tasted three red wines, Shiraz, Cabernet Sauvignon and Pinot Noir, suitable for meat dishes or with cheese. From white wines we tasted Thandi Chardonnay and Gisselbrecht Gewurztraminer. The first one was fresh and fruity and the second one sweet and rich. They were wery different wines but were both liked very much and recommended by us. 09.09.2009. Timo Koivunen from wine importing company Möet Hennessy Finland presented us champagnes in Classic Wine Cellars downtown Helsinki. We tasted Veuve Clicquot Brut, Sec, Brut Rosé and Vintage Reserve 1998 champagnes. We learned how champagne is made, how these tasted champagnes differ from each other, and also heard many interesting stories involving champagne. Veuve Cliquot Ponsardin Vintage Reserve 1998, with its soft full bodied taste with coffee and ripe exotic fruit aromas, received the highest points. But these were all very good champagnes and suitable for different occasions. 25.8.2009. Esa Salminen from wine importing company Norex came to present us their selection of wines produced by Laroche. We were able to taste wines from all their production areas: Chablis and Languedoc in France, Chile, and South Africa. We learned how different the wines from different areas taste like, even if they are made from the same grape, and what wine making techniques can be used in these areas. Their fine and elegant Laroche Chablis La Jouchare received the highest points. Their L’Avenir, Cabernet Sauvignon from South Africa, was best liked out of the red wines. 4.6.2009. Wine importing company Servaali came to introduce us their selection of wines suitable for summer and grilled foods. We also had the priviledge to taste two new wines that are not yet available in Alko, but surely will be recommended by us once they do. Flagstone Dragon Tree 2006, red wine from South Africa, was one of the newcomers and received the highest points. Also Taltarni Brut Tache 2007 from Australia was a very nice sparkling wine. 14.5.2009. In this event we were not evaluating wines, but instead learning how our senses work. We tasted and smelled the same wine from different shaped glasses and were amazed how big difference there can be in the aromas and how the wine tastes. 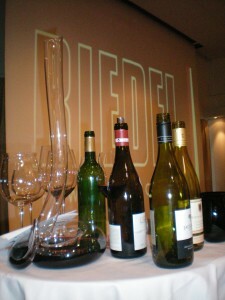 Riedel offers glasses of different sizes and shapes optimized to certain grape varietal. The shape and size of the glass is designed to maximize the aromas we smell in the wine, and the mouth of the glass is designed to minimize the shortcomings of the wine’s taste. For example acidity is tasted on the sides of the tongue. There is already high acidity in Sauvignon Blanc, so the wine is poured to the center of the mouth to balance the wine better. So for Sauvignon Blanc you need a glass that has a narrow mouth. For sweeter Chardonnay you need a glass with wider mouth to pour the wine to the sides of your tongue to bring more acidity to the taste. Althoug the wine does cover all areas of your mouth the first expression is dominant throughout the whole time. A great session and now I have a gift list ready for all my birthdays to come. 6.5.2009. One of the most interesting topics for me is to try out the new wine selection. And to be able to recommend them to others as well. For most club members these are wines that they have not tasted before and therefore we are all in the same starting point. All the wines were really nice and got good evaluations. To mention only one wine, it would be Leyda Garuma Vineyard Sauvignon Blanc. But keep in mind I am a big fan on Sauvignon Blanc. 23.4.2009. The 1st of May, Vappu, is a big celebration day for the Finns and champagne and sparkling wine bottles are opened then. To know what to buy, we tasted sparkling wines from different continents and two champagnes. The biggest positive surprise was one of the cheapest champagnes available in Alko: Blondel Brut Carte d’Or. Luxury isn’t always expensive. 4.3.2009 and 17.3.2009. To know wine, you have to know French wine. And to know French wine, you have to know Bordeaux and Bourgogne. So the wery first wine tasting event took us to the home of wine, Bordeaux and Bourgogne. Pekka Suorsa, wine critic and the author of Viiniopas books, explained us how the tasting process goes and how wines are evaluated. So our expectations were getting really high and in the end Chateau Senilhac 2003 from Bordeaux was able to meet them the best. Wineserver is the link between Finnish customer and the wine importer. Wineserver organizes wine tasting events for its members and provides evaluations and information about wines. New information is updated as the events are organized. Wineserver is a new company operating in the capital area of Finland. These pages are very much under construction at the moment. There will be more pages coming and more information. There will also be improvements in the visual side. The goal is to have these pages ready and working after this summer. I have downloaded a couple of pages just to see how these work as a test. These are my first web pages and for some reason I decided to do it the hard way and code everything myself using xhtml and css to start with, without any background knowledge of how computer coding actually works. 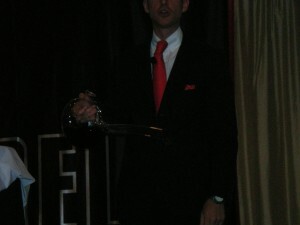 So these pages will have new functionalities as I learn more, and I will add more pictures from our events. If parts of these pages are not functioning properly, please let me know. And of course all ideas and feedback about these events and web pages are welcome. For blog and discussion forum I decided to use ready pages and formats. And it might be that the other pages will be created using some tool if I am not able to finish the pages on time or have too many technical difficulties. This is an interesting learning experience for me. In these first two weeks I have already learned a lot. Wineserver offers a cost friendly and easy way to learn about wines in a fun relaxed way. To attend a wine tasting event it is possible to join our Wine Tasting Club, or to organize our own event for your group of people. We are also offering our help to plan and organize parties. If you are interested in joining our Wine wasting Club or organizing a wine tasting in your company or for your friends, don’t hesitate to contact me. 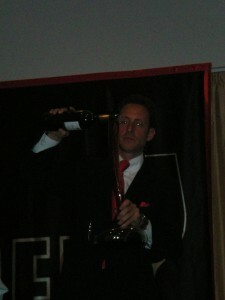 For wine importers and companies I offer a chance to come to our club events to present their wines. It is also possible to hire me to sales promotion activities to e.g. wine fairs and other events as an addition to your sales team. We also offer wine books and products to our members. All contacts and event ideas from companies are also very velcome.